A home that is clutter free and well organized is a home that everyone wants to live in. For this to occur, proper storage facilities must exist. Your deck and patio is no exception. The use of a deck or patio box assures a well-organized and uncluttered deck or patio area. O’Leary and Sons will make sure your deck is in it’s optimal working condition: make sure to set up a seasonal maintenance consultation. Deck and patio boxes are obviously used for storage. You will need to store the items you occasionally use on your deck or patio. This box can be used to store barbecue and garden equipment. It is also useful for storing garden toys for children, maybe even automobile accessories. Sports equipment can be kept in a patio box too. 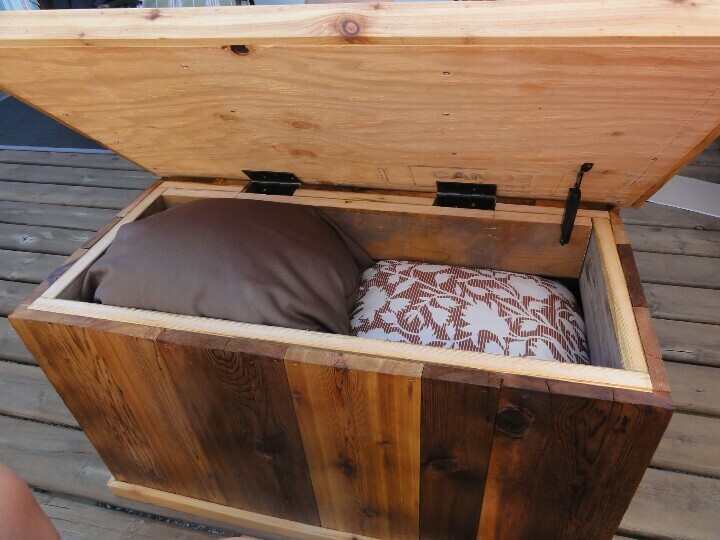 A deck or patio box offers a safe and dry place to store items like furniture cushions, spa and pool chemicals and other items that should not be left out in the elements. Boxes like these assure that your outdoor items are kept in their own storage area out of harm’s way. This prevents them from getting mixed up with the items that should be stored inside your home. With all your outdoor items stored in a single area, you will never have to worry about misplacing anything. Some patio boxes even double as an extra seating area. There are many different types of types of deck and patio boxes. Every company has its preferred style. 1) Deck and patio boxes can be made from UV resistant polyresin, which makes these deck and patio boxes durable. 2) Some patio boxes have wheels, making them easy to transport from one area to another. 3) Other patio boxes double as a seating area, which is a nice feature if you wish to take a break when doing yard work or you have a lot of guests to seat. 4) Most deck boxes are weather proof. Patio and deck boxes are extremely convenient and useful. They can provide extra seating when necessary. The storage they provide for you outdoor items will keep your decks, patios,and yards looking neat and organized. For all of your deck refinishing services colorado springs needs, make sure to call OLeary and Sons Inc! Call today to schedule a consultation, or a touch-up to your deck.